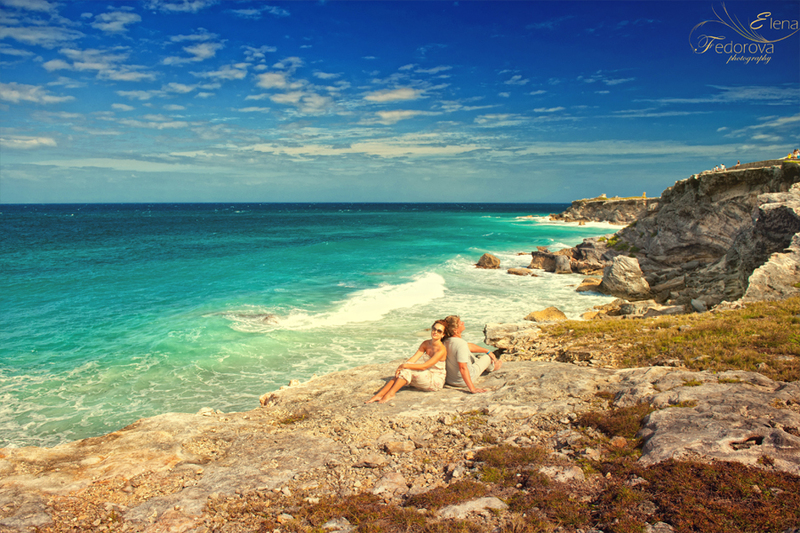 Home page → honeymoon photo sessions, isla mujeres photography → Isla Mujeres photographer. Isla Mujeres photographer is the person you need if you are already having or just planning to have your vacations on this beautiful island and you wish to do some memorable photographs. Isla Mujeres is translated from Spanish as the island of women and there exist several legends about the origin of this name, regardless of this story, more important is that it sounds very delicate and the island itself differs by having a very special atmosphere of comfort, warmth and romanticism. the total area of the Isla is relatively small and it usually takes less than a couple of hours to go around on the golf car, while admiring wonderful views and exploring local monuments and of course, making photos. Isla Mujeres is situated about 25 minutes distance from Cancun (Ferry is necessary) and despite the close location they have a great difference between each other. First, Cancun is a big, modern resort city with hard traffic and Isla reminds you more of a contemporary village, where all the hotels and houses harmonically merge with the nature, maybe because of this main fact the photographs made on the island always look more light, soft and romantic. It is always better on the booking stage to discuss all the details (especially about the place) of the photo session with your Isla Mujeres photographer. 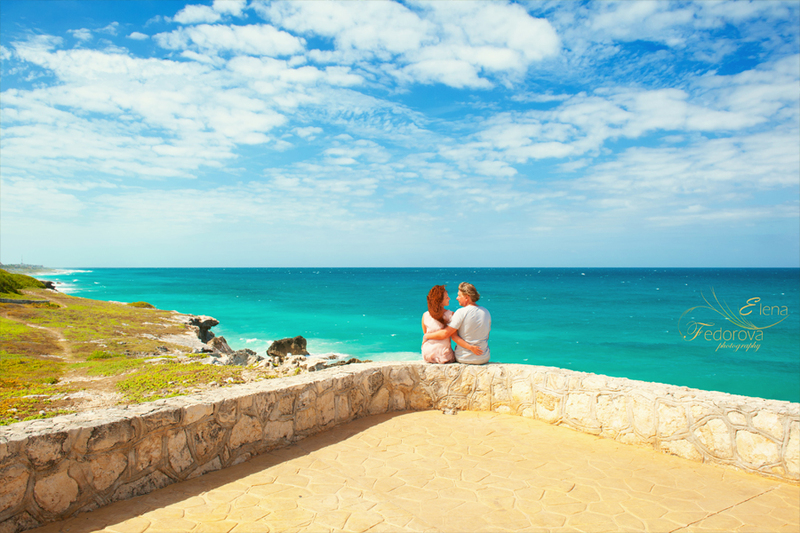 On the island, beside the beautiful beach, there is a place with rocks from which you can have a stunning view on the Caribbean Sea. If you wish to make pictures in those places your Isla Mujeres photo album will be more diverse and unique. You should also pay attention to the sunset time, on the evening hours covers the north side of the island with golden light and creates truly remarkable sea landscapes. I think many will agree with the statement that “pictures made during the sunset with the sea background appear to be on the top of the romanticism”, particularly if your vacations is a honeymoon journey. I will be happy to be your Isla Mujeres photographer for your wedding, honeymoon, vacation or family photo session. Contact me to find out more details. ← Honeymoon photosession on the beach and cenote.